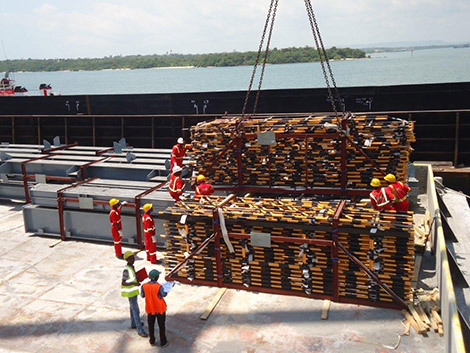 Comarco was contracted to transport a total of 2,327.316 cbm out of gauge and heavy break bulk cargo from the port of Mombasa, Kenya to the port of Tanga Tanzania. Due to the shallow draft restrictions at Tanga Port, conventional vessels are not able to off load cargo directly at the quayside. 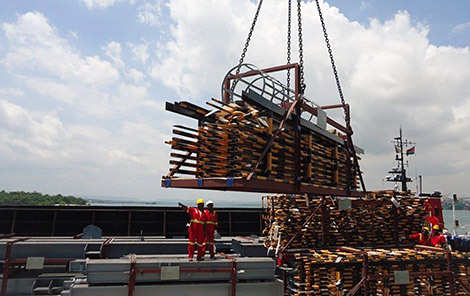 Therefore CJ Smart Cargo commissioned Comarco to provide a solution, which they did by anchoring the OGV vessel adjacent to the Comarco Quay and placing barge(s) directly alongside the OGV. The cargo was then discharged directly to the barges at the anchorage, stowed, lashed and secured. 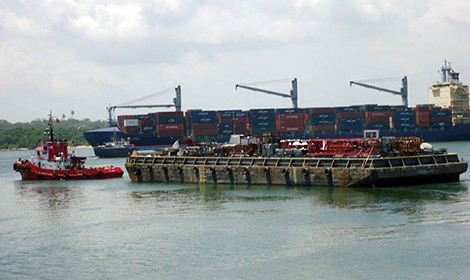 The barges were towed 75nm from Mombasa to Tanga, where they were positioned directly alongside the quay for safe and immediate discharge.